Joan is an executive coach and leadership consultant for people seeking to take their success to the next level and for leaders facing new challenges. Many of Joan’s clients and their organizations, while highly successful to date, have hit roadblocks. Most are moving into new territory, such as greater complexity, broader responsibility, larger and more diverse staff and accountabilities that cross organizational lines. For many, what worked previously doesn’t work now. While having “the answers” may have been effective in the past, now the answers are not clear or agreed and staff need to be part of the solution in order to buy-in. Joan helps her clients successfully tackle these leadership and organizational change issues. 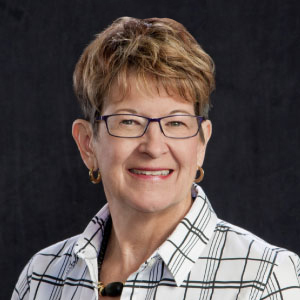 Joan has effectively worked in organizational leadership and change management consulting roles for more than 30 years, including work with US and UK corporations, educational institutions, government agencies and non-profit organizations. Joan was introduced to change leadership when recruited by a multi-state financial services firm to help lead a merger, financial recovery and culture change. The results were quick and effective. Next, she took that success into change management consulting in the US and England. When asked to apply her leadership consulting expertise into educational reform, she needed to master the personal aspects of change to succeed with those who hope to “dig in and wait out” change. Joan’s combination of executive coaching, change leadership and broad experience in diverse situations provides great value to her clients. During her career, Joan has lived and worked in several locations and cultures, including NW Ohio; SW Florida; London and the UK; Seattle, WA; Tucson, AZ; and currently in Denver, Colorado. Joan became a Professionally Certified Executive Coach in 2002, having trained with New Ventures West, an ICF-certified coach training school. She received her ABC Organizational Communications certification from IABC in 1995. She later studied leadership at the Whidbey Institute. Joan received her Bachelor’s degree with distinction from the University of Michigan. Joan is married to Bart Alexander, a sustainability and corporate responsibility leadership consultant with whom she founded Alexander & Associates LLC.